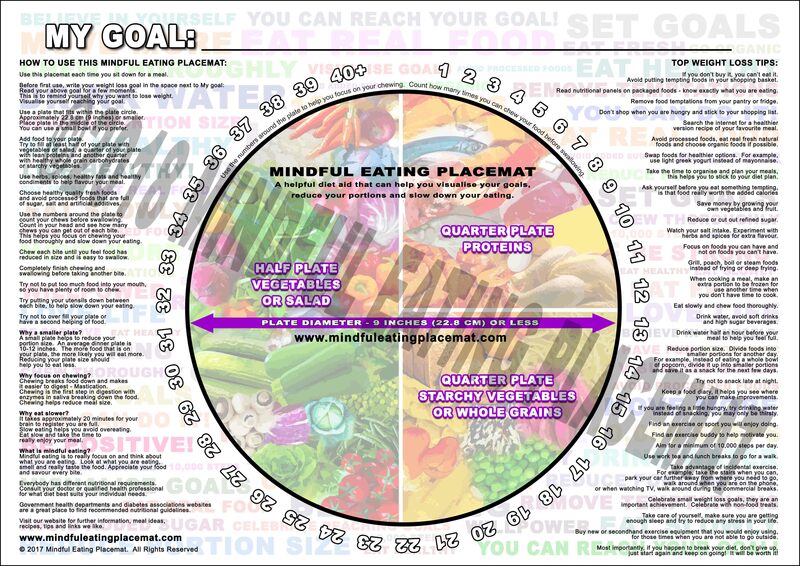 What is the Mindful Eating Placemat? 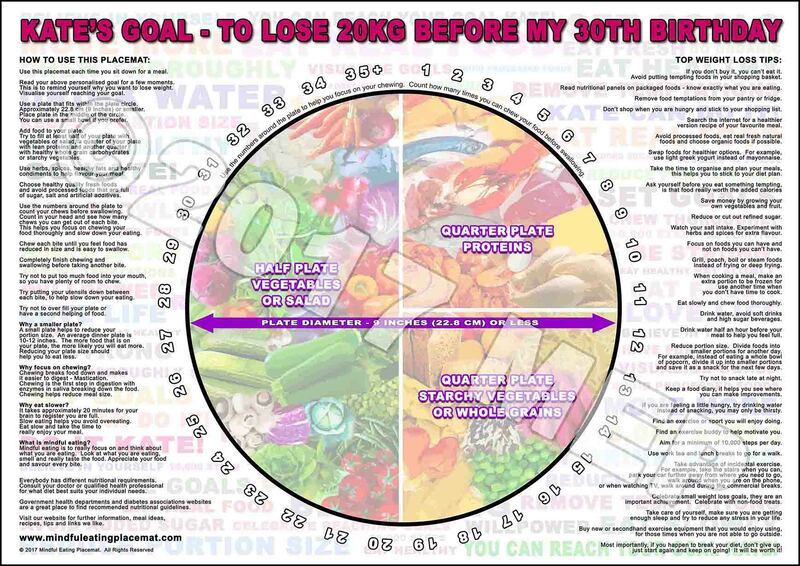 It is an affordable and helpful diet aid that can help you visualise your goals, reduce your portions, focus on your chewing and slow down your eating. The Mindful Eating Placemat also provides you with useful tips and meal ideas. 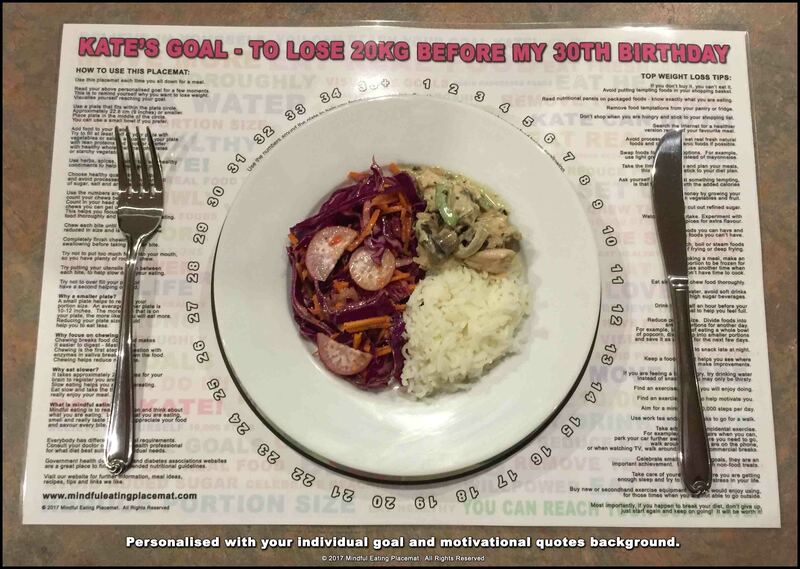 Each placemat can be personalised with your name and your individual goal. It helps you focus on your personalised weight loss goal. 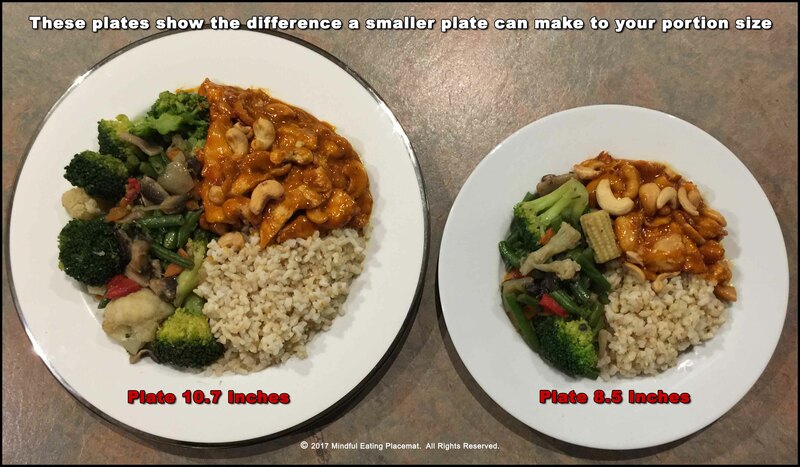 It helps you to reduce your portion size by reducing your plate size. It helps remind you to chew your food thoroughly by counting each bite using the helpful numbers around the plate. It helps show you how to slow down your eating. It provides you with weight loss tips and meal ideas. 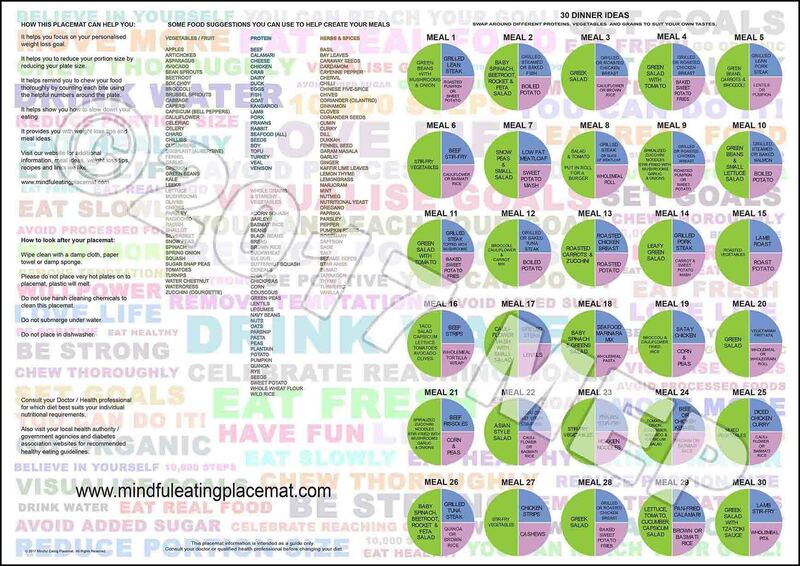 Our placemat is a very affordable helpful tool to aid your weight loss journey.